Meet Portia, 7 months old Female Hound/Pit bull Mix. Portia is a cutie! She is a sweet pup that is longing to be a part of a family that will include her in their daily activities. She would love to find a home and has much love to give. Portia is a doll, loves to play, and loves belly rubs. She is a happy girl and will bring so much to any home. 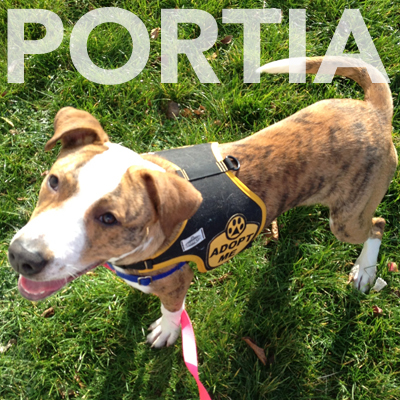 Come to 184 Verona Street to meet Portia. If you are interested in fostering her, please contact Ginny @ 355-7203.